Dinara Kasko is an internet sensation. With over 530,000 followers on Instagram drooling over her 3D printed treats, she has taken the internet by storm. However, her models aren’t created out of plastics or metal. She uses 3D printing technology to create artistic designs in her pastry desserts. This is a growing trend at the moment, as it offers far more precision than a human. We spoke to her about her history, how she became involve with 3D printed food, and what to expect in the future. 3DN: Can you introduce yourself to our readers and explain a little about what you do? My name is Dinara Kasko, I am a 28 years old and I’m from Ukraine. 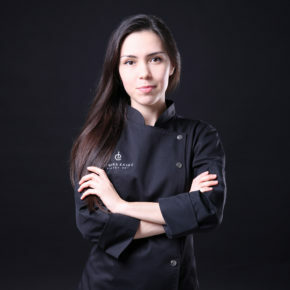 I am a pastry chef and began cooking with simple cakes and pies, which quickly became my passion. Then, I graduated from the University of Architecture and Design in Kharkov and soon after graduating, I began working as an architect. I liked what I did in architecture, but I was more interested in pastries. Today, all possibilities are open to me and allow me to modernize and do many tests in the kitchen. 3DN: Can you explain the link between your work and 3D printing? As soon as I started making pastries, I automatically wanted to add a personal touch, something new. I realized that appearance was just as important as the taste. The best way to create something new was to make my own silicone molds. So I decided to create plastic 3D models and make them into molds. The only way to do this was to use a 3D printer. An advantage I had when I began to design the models was that I had worked previously with 3D designers for a few years, so I already had some experience in it. At first, I tried to print some geometric models and made a series of desserts with simple shapes, without color or decoration. It didn’t look very edible, but I liked it. So I went further and started to print cakes. In the beginning, I used a friend’s personal printer to print my first molds. But soon after, my requirements in terms of quality and quantity of prints has increased, so I decided to buy a printer to control the entire process from molding to the kitchen. This gave me freedom and allowed me to increase my production capacity. Today, I have an Ultimaker 3. The first molds created by Dinara Kasko. 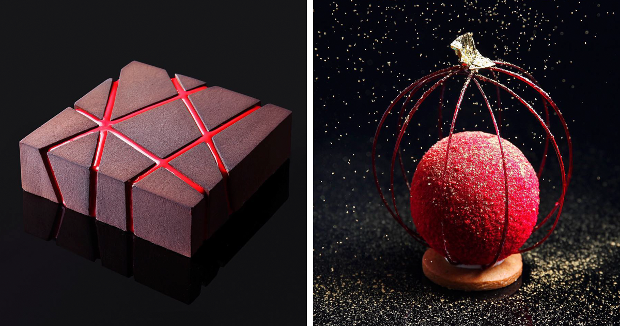 3DN: Where does your inspiration come from when you’re designing your desserts? My inspiration comes from everything around me: art, music, photos, fashion, clothes, or even furniture. It can also be from an artist or simply from nature. There are many things I can bring to life in my pastries. I prefer some geometric shapes to others, like cubes, triangles, and spheres. I love black, red and white as well. Therefore, I think my preferences play a lot into the design of my desserts. 3DN: What do you see as the future for 3D printing in the kitchen? There are already 3D machines that directly print chocolate, but the quality is not good enough in my opinion. I am sure that there will soon be better quality printers. 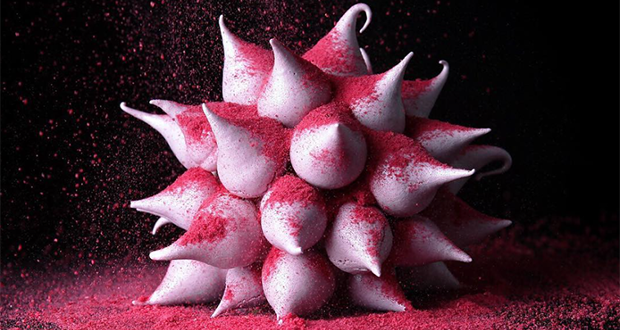 We are starting to see more developments in the use of meringue and mousses instead of chocolate, which is interesting. 3DN: What projects would you like to work on next? 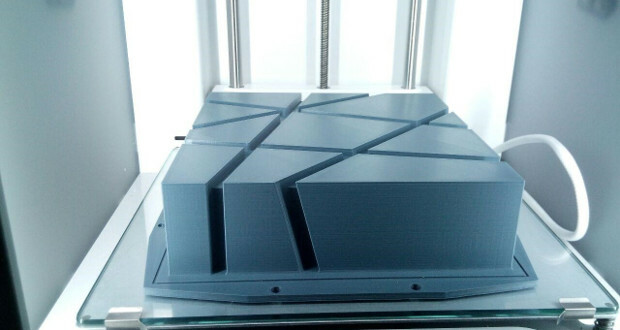 I would like to create polycarbonate molds to make candy, but the printer by Stereolithography doesn’t have a high enough volume for printing and the larger printers cost too much. But I know what I want to achieve and do and I will soon accomplish my goals. 3DN: Anything else you would like to say to our readers? Right as I was speaking, my printer just finished a mold, after 30 hours of printing and some failures… But I am happy with the result. It will be a new mold for this cake. What do you think the future is for 3D printing in the kitchen? Let us know in a comment below and don’t forget to follow us on Facebook and Twitter! 4D Printing: The Next Stage in Additive Manufacturing?